Looking for a Social Media company in Rugby? 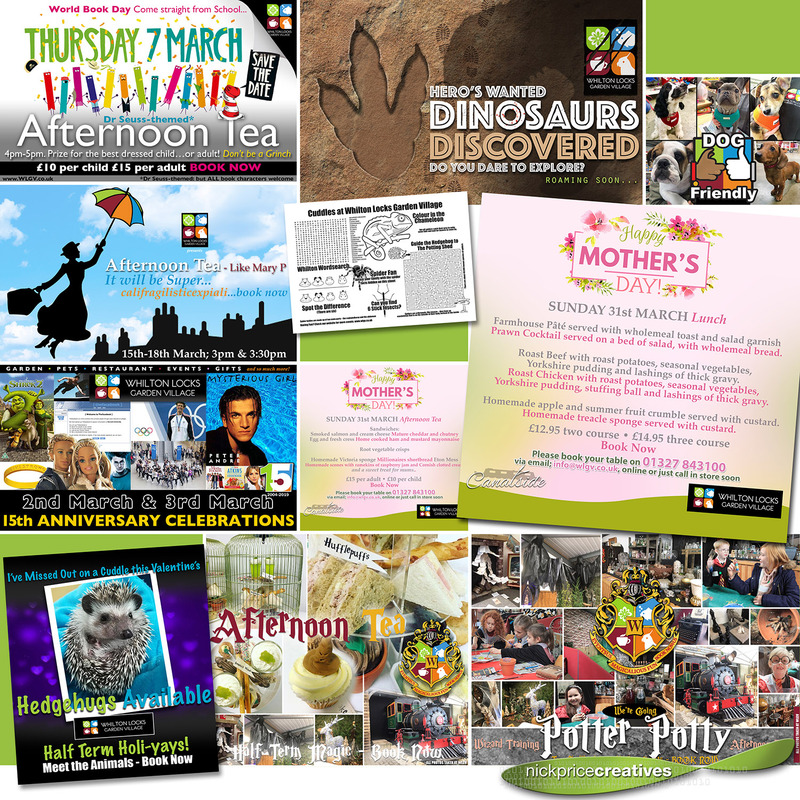 A busy month with a number of events here for Whilton Locks Garden Village for which we produce the designs and subsequently promote. The events continue to prove popular particularly with new customers, who have never been to the site before, visiting for the first time. With Mothers’s Day, Themed Afternoon Tea’s and a Fifteenth Anniversary Celebration due in March, next month is looking busy too! FREE Competition. WIN WIN WIN! “with sandwiches and cakes”, Ron interrupted. “Anyone with a Facebook account and is available during half term” said Hermione. Just then, Dumbledore entered the room. “Afternoon Potter Tea,” Harry remembered, “Pot of Tea! Oh Ron.” Harry shook his head and clicked SHARE. As we celebrate our birthday, this forthcoming weekend, we look back to 2004. NEW: Facebook is launched as a social networking site only open to students from Harvard in February by Mark Zuckerberg with his college roommates and fellow students Eduardo Saverin, Dustin Moskovitz and Chris Hughes. It is expanded first to other colleges in the Boston area and other Ivy League Colleges. SPEEDY: Britney Spears married high school friend Jason Alexander for nearly an entire weekend. (55 hours). When you weren’t off down to Whilton Locks Garden Village – you were reading The Da Vinci Code by Dan Brown, on a low carb diet such as ‘Atkins’ and taking part in Parkour! No really, at least it looked liked that as you were all coming for the bargains back in 2004 – just like this weekend too. Celebrate with 15% OFF all stock (some exclusions apply), feed a family of four for £15 (halt the diet for one day) and with FREE events all weekend, such as Meet the Animals and Face Painting – there’s no need to decipher any code for a fun-packed family weekend. Join in the fun this weekend.